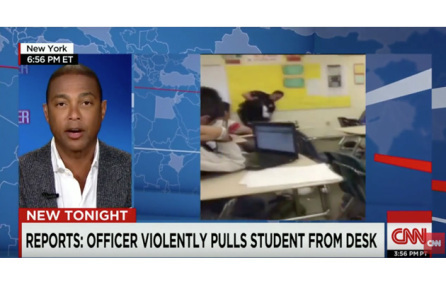 There is now a petition on Change.org to “remove Don Lemon from CNN” following his words on The Situation Room, where he urged for people to wait for context in the Spring Valley High assault, as it has been hashtagged on Twitter. At the time of this posting, it was started 7 hours ago, and has already reached 1,375 signers. Side note: there have been numerous petitions to fire Lemon in the past – he’s still a prominent CNN anchor. Video of Lemon’s speech below. It’s true that both Don Lemon and to a lesser extent Erin Burnett seem to take positions separate from most on CNN. Their side is wondering what additional context might uncover to mitigate the resource officer’s conduct. While the other side seems to be asking, “Isn’t the video enough?” Implying what could possibly mitigate the evidence we have so far.